Jasmine, the youngest of the 3 mares from the Arab case that Bransby Horses took into care in September 2018, was sadly suffering due to the lack of basic farrier treatment. Following a successful prosecution in December 2018, Bransby Horses became the legal owners of Jasmine in January 2019. Like all the others seized by the RSPCA on that day, Jasmine’s suffering could’ve been prevented. Her hooves had been neglected for such a long period of time that it had gone beyond a simple rasp and re-shape and she required multiple treatments, medication and pain relief to offer her the chance of a pain free future. Jasmine had access to outside space with her field companion Sahara. This proved to be a key support factor to her recovery, compared to the stallions who had been stabled for 2-years and sadly had no space to express natural behaviour. Using the Animal Welfare Act 2006, the seizing Vet placed a Section 4 notice (unnecessary suffering) against Jasmine and requested that she was transported to Bransby Horses for further assessment. Due to the pain Jasmine was in, from the condition of her hooves, the Vet administered pain relief to support the hour-long journey. 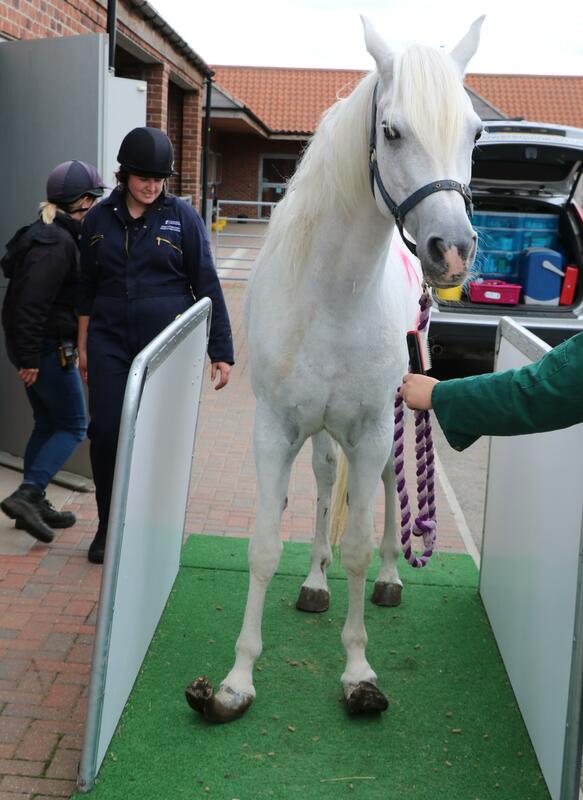 On arrival the Vet gave Jasmine (like all of the other Arab horses taken in to Bransby Horses) a full vetting to understand the extent of her condition and to establish the most appropriate treatment options. 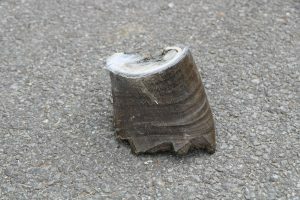 Removing the entire overgrown hoof straight away can have lasting damage to frame of the horse, as the body has tried to adapt over time to compensate for the lack of care to the hooves. Jasmine was also in a great deal of pain due to the lack of dental care. 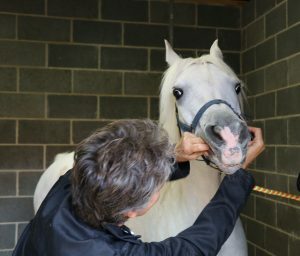 The teeth of a horse constantly grow which, when untreated, grow into the cheeks causing ulcers and, in some cases, grow into the opposite row of teeth causing lasting damage. 5 months on from Jasmines arrival (and many concerned hours later), Jasmine is showing a marked improvement. The neglect Jasmine received for a long period of time has impacted on her future and it is unclear what lasting damage this has caused. Whilst her recovery is slow, her pain is being managed and she is showing enough improvement for the caring team and Vets to consider progressing Jasmine into one of our established herds. It is unknown if the 15-year-old will make enough of a recovery to be available for rehoming in the future, but sanctuary care is looking more promising in what has been a difficult case. Bransby Horses remains committed to its welfare and rescue work throughout the UK and continues with its ambition to prevent and relieve cruelty to equines. 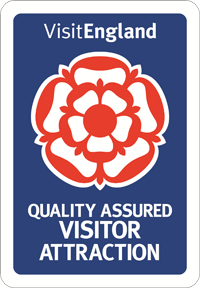 Through the continued support of the public, team of staff, and loyal volunteers, this remains possible. Thank you. Jasmines hoof that was removed on the first farrier trim. Jasmine having her full vetting – here the Vet is looking at her sharp untreated teeth that had caused further pain.